A lawsuit filed by Patrick Loughren against GMM details how the firm allowed -- and perhaps still allows -- nonlawyers in its firm to file and prosecute thousands of foreclosures. As long as a lawyer supervises foreclosure filings, and at least reads them before they're submitted to the court, that is acceptable. But Loughren is suing because all three named partners of GMM, Joseph Goldbeck, Gary McCafferty and Michael McKeever, have admitted under oath -- during depositions last September and in a separate case in December 2009 -- that no attorney ever read the filings. The partners made clear that the practice has gone on for the past several years. Loughren declined to talk with DailyFinance (nor would he even give us the complaint, which is electronically available from the court), and as of now, GMM hasn't returned our calls either. (We learned of the case from Walter Roche's story in the Pittsburgh Tribune-Review. )But Loughren's complaint is so detailed, and the partners' admissions so damning, that if this case is decided on the merits, it's hard to see how Loughren could lose. If Loughren does win, the consequences could be far-reaching: All current foreclosure actions filed by GMM could be dismissed on the grounds that lawsuits filed by nonlawyers are a "nullity," meaning they don't count. That's hundreds, potentially thousands, of cases across Pennsylvania. All completed foreclosures that were brought using this method could also be called into question for the same reason, and given that the practice has been going on for years, a Loughren win could throw into question the title to thousands of Pennsylvania properties. In addition, any homeowners who paid legal fees to the banks and GMM during their foreclosures could get that money back. Loughren notes that in both cases involving the partners' testimony about the practice, Bank of America (BAC) was the foreclosing bank. It was actually present during the December 2009 trial when the admissions were first made. Loughren points out that BofA's representative at that trial, John Smith, is himself a lawyer, and so presumably understood the legal significance of GMM's admission. Other BofA employees surely learned about the practice too, given that the December case was an effort by the U.S. Bankruptcy Trustee to sanction both the bank and GMM for misconduct, and evidence submitted for it showed the involvement of "high-ranking" BofA people not normally involved in a foreclosure, such as its assistant general counsel. "During the trial the Court also became aware of some apparently routine practices at GMM that raise issues that cannot be ignored. McKeever testified to a procedure at his firm whereby foreclosure complaints are prepared and filed by non-attorneys and never reviewed by an attorney, even though the "signature" of an attorney appears on the document. . . . Even though these actions are not being filed in this Court. . .concern for our sister courts in this Commonwealth compel the Court to at least make publicly known what it learned during the trial. 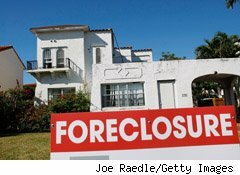 Furthermore, often these fundamentally flawed foreclosure actions, form the basis for related relief in this Court should the state court defendant subsequently file a bankruptcy petition. Therefore, the Court is concerned about the continuation of this practice by GMM." When asked for comment, a BofA spokesperson said: "We are evaluating our relationship [with GMM]. Beyond that we have no comment." Loughren is seeking two major remedies. First, he wants GMM to return to homeowners all the fees they paid for work performed by nonlawyers. (Foreclosures, no matter how they are resolved, almost always require that the homeowner pay the bank's legal fees.) That could be a huge amount of money because each homeowner would have paid hundreds or even thousands of dollars. Second, Loughren wants an injunction preventing GMM from continuing to operate this way. In an interesting twist, Loughren apparently doesn't want fees for himself. He's filed the case "pro se," which doesn't allow for recouping attorney's fees. By bringing his suit in this form, however, Loughren has a difficult challenge to prove he has the right -- or "standing" -- to sue GMM. So GMM may escape the suit without a judge ruling on its merits. That won't actually help the firm too much, though, because the suit provides a template for any attorney representing a homeowner being foreclosed on by a GMM client. And since this could include hundreds or thousands of people, surely someone else will take a similar approach if Loughren is found to lack standing. What misconduct was at issue in the case Judge Agresti oversaw? He found that GMM and Countrywide/BofA "had not been honest with this Court" because they tried to foreclose on Pennsylvania homeowner Sharon Hill, even though she was current on her mortgage. They did so by relying on documents -- specifically "payment change letters" -- they knew weren't real. As first reported by Roche in the Pittsburgh Tribune-Review article, Agresti issued the sanction of humiliation for all the involved parties, by detailing the misconduct in his orders and making the orders public. While Hill was in a bankruptcy -- which she ultimately completed successfully -- Countrywide changed the amount that Hill owed per month three times, but it neglected to tell her, her attorney or the bankruptcy court of the changes. Hill and the bankruptcy trustee making payments on her behalf made every payment to Countrywide that they believed was due, but the mortgage lender said she was falling behind. When the bankruptcy was discharged, Countrywide lost the right to claim the "overdue" amounts. Countrywide nonetheless tried to foreclose on Hill for them. To stop the foreclosure, Hill reopened her bankruptcy. For that proceeding, a low-level Countrywide employee generated from scratch three "payment change letters" dated 2003, 2004 and 2007 that purportedly showed Hill's attorney had been told the monthly payment was increased. The most recent letter was dated roughly six month before it was in fact created. Those letters were part of the evidence submitted to the court, and even after both Countrywide and Countrywide attorneys at GMM were aware the letters were not real, no one informed Hill, her attorney or the Court. The documents were exposed to Hill only because the 2003 letter was supposedly sent to her attorneys at their present address, even though they had had a different one at the time. When you hear that everyone being foreclosed on is really a deadbeat, keep Hill in mind. Given the massive volume of foreclosures nationally, and their concentration among a few law firms in each area that are disparagingly nicknamed "foreclosure mills," what are the chances that only GMM has this business model?